Initially, I was not too interested in TV series that aired on HBO. I though the film was unremarkable and not as exciting as Spartan's series, which also aired on MAX and HBO, which was more focused on combat and made me tired. 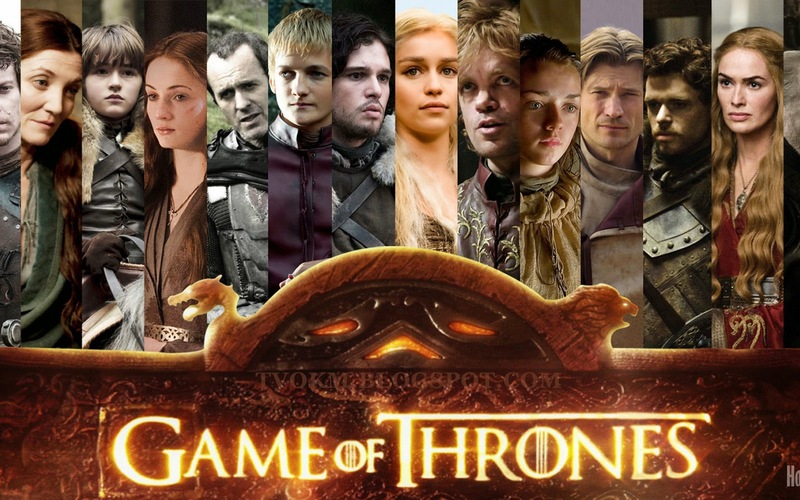 However, because I belong to the type of a person who loves the movie and does not want to fall behind on the film talking about a lot of people, so I try to follow every episode on Game of Thrones. As usual before watching movies, I will collect details of the film, both the storyline and the famous and big name actors. Perhaps, the film Game of Thrones has given me the new knowledge about writing, which is very slick and awesome. I keep thinking how does the writer, write a long story with many characters in it and the story setting, which is purely a creation of the author's own and the details of each region, which described, as well as multi-layered conflict makes me not stop saying "unbelievable" for fiction is full of art. The fans of 'Game of Thrones' are certainly very enthusiastic about something new from the game. Based on IGN site, the developer of Telltale Games is currently developing a game called Game of Thrones for mobile devices. Game of Thrones is based on a movie sequel Game of Thrones, which have now emerged a variety of types from Game of Thrones. In addition, the game that is being made by Telltale that will lift the story from the novel "A Song of Ice and Fire," by George RR Martin. Unfortunately, not much information can be obtained about the presence from Game of Thrones, but the Telltale will release it to the IOS, OUYA and Android. Be patience to wait!